I don’t know why I never thought to make peanut butter frosting before. Rich, creamy peanut butter atop a chocolate cupcake? Delish. Better yet, rich, creamy, dairy-free peanut butter frosting atop a Peanut Butter Cup Chocolate Cupcake! Whoa. You need this. We had a family party last week and I was in charge of bringing a dessert. My dad picked up a Betty Crocker gluten-free chocolate cake mix at the supermarket and I knew it wouldn’t take much to doctor it up a bit to make it party-worthy. I found a large Reese’s Peanut Butter Bar in the fridge (leftover birthday treat!) and decided to chop it up and add it to the chocolate cupcakes before baking – such an easy way to change up a simple dessert! 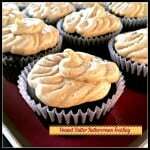 To put these cupcakes over the top, I made a whipped dairy-free peanut butter frosting. So. Good. If you are looking for a dairy-free buttercream, try using coconut oil in place of the butter. Coconut oil is an excellent replacement in so many recipes if you are needing dairy-free or vegan options. I use it all the time in desserts and no one ever knows. I piped this peanut butter frosting out of a gallon sized ziploc bag with the corner cut off – fancy – but you can definitely pretty it up even more if you have some decorating tips. Or, simplify your life and put on this delicious peanut butter frosting with a butter knife. So many choices… Thankfully, I had leftovers that I put in a little glass dish and kept it in my fridge to sneak spoonfuls for days. I’m not telling you to do that, I am just putting it out there as an option. 😉 Enjoy! A delicious dairy-free frosting alternative! In a large stand mixer, combine coconut oil, peanut butter, and vanilla. Beat until combined. Add the powdered sugar and beat again. Gradually add 2 to 3 tablespoons of milk until the frosting is the correct consistency. Beat for 2 to 3 minutes. If the frosting is too thin, add more powdered sugar. If the frosting is too thick, add a little splash of milk. What a perfectly simple recipe! Sometimes I find diry free can be complicated or involve a lot of special items but this is eay & looks delicious! 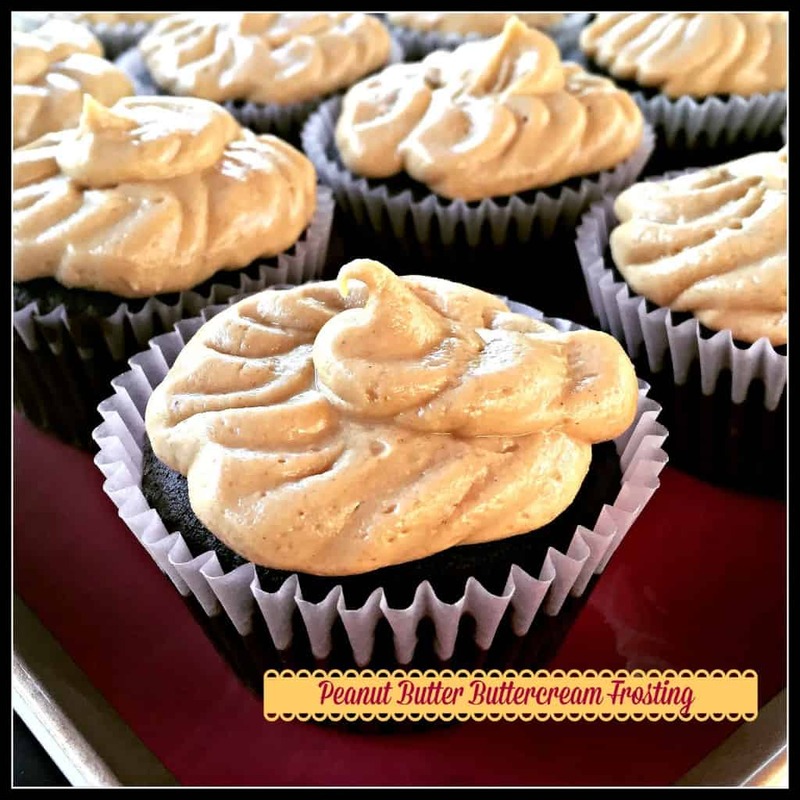 This peanut butter icing sounds amazing! I need to try this! Can’t believe something so amazing could be so simple! This sounds so delicious, can’t wait to try! Thanks, Debra! Right??!! So simple. My husband loves peanut butter and chocolate! He would love this frosting on a chocolate cupcake! Thanks, Sabrina! My favorite combo is PB and chocolate – I don’t know why I didn’t do this sooner! I love frostings, they are the best part of any dessert, but my tummy can’t handle the dairy part. Thanks for giving me an option for when I have those cravings for frosting! Not having frosting would make me sad!! I understand. It’s so nice to have a good dairy-free alternative. Thanks! I would play around with adding more peanut butter if you don’t like it too sweet! What could you use in place of the sugar? Looks delicious! I am not sure what I would substitute instead of the sugar! Let me know if you have success with something! Add maple syrup and cut back on the coconut oil…just a thought. Interesting idea! I love maple syrup as a sweetener!